Fast Cakes is the unmissable and definitive baking book from Mary Berry. Mary has incorporated her ‘all-in-one’ method of preparation into as many recipes as possible, so her recipes are faster to make than ever. Nearly 100 of the bakes take only 10 minutes to make and Mary has included small bake variations for fruit cakes, which traditionally take a long time in the oven, so you can make one even when you are pushed for time. It has been another busy year for Mary. Her popular new TV series, Britain’s Best Cook, aired on BBC1 in May this year. 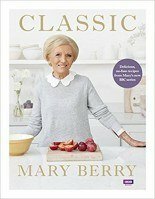 Mary Berry’s previous cookbook, Mary’s Classics, published in January 2018 and was a The Times Top Ten bestseller for over a month. It is full of timeless favourites, simple and dependable recipes honed and refined by one of our most trusted cooks. 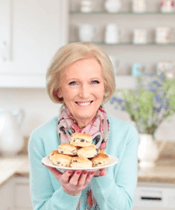 Her accompanying TV series Classic Mary Berry was aired on BBC One earlier this year.